"They're a team that's built on defence first and they've certainly bought into that and that's their identity," Sullivan said of the Islanders. "I think our identity is different based on the personnel that we have. Having said that, it's hard to win in the playoffs when you don't defend and you don't take care of the puck." That problem popped up once again in the decider. Shortly after Guenztel's goal brought the 574th consecutive home sellout to its feet, Pittsburgh defenceman Kris Letang tried to pinch at the blue line to keep the puck in the New York zone. The puck hopped over his stick and went to Eberle, who finished off a 2-on-1 by ripping a shot by Murray's glove. A little bit of puck luck helped. Crosby hit the inside of the left post in the middle of the second period, and Islanders defenceman Scott Mayfield bailed out Lehner by making a save with his left leg on a point-blank shot by Phil Kessel early in the third. And that was it. 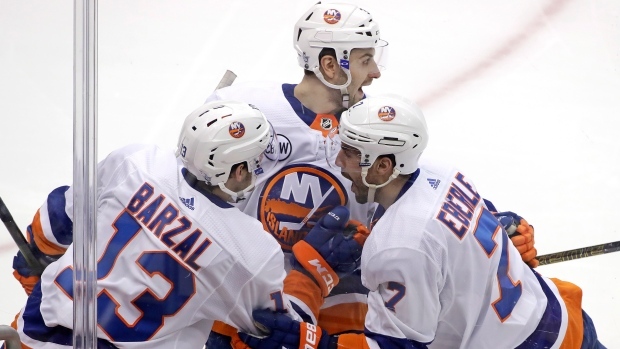 When Bailey's flip went the length of the ice and into the empty net, the Islanders' bench erupted and the Penguins trudged toward an off-season that could lead to significant changes.